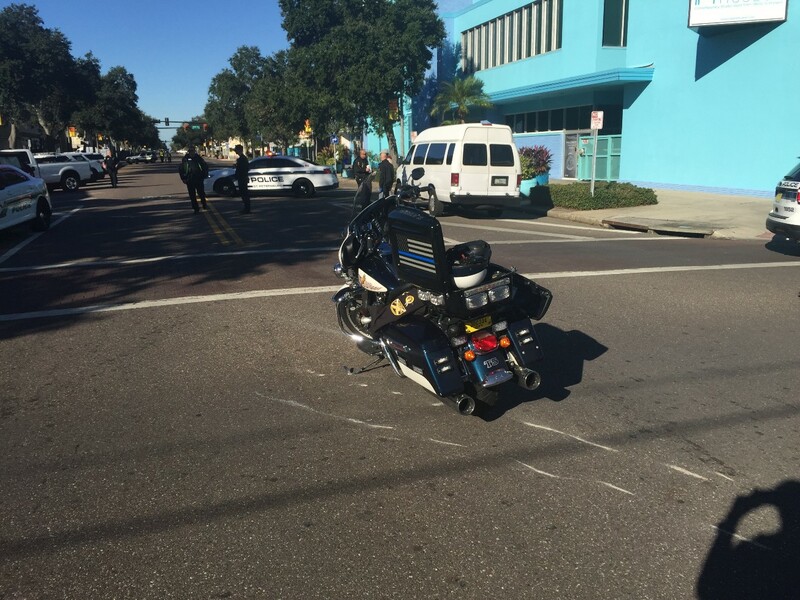 St. Petersburg Police Department is investigating a crash involving a motorcycle unit near the intersection of Central Ave and 19th St. N.
The officer appears to have minor injuries, but will be taken to the hospital as a precaution. Investigators say it happened around 9:18am this morning as the officer was traveling westbound on Central Ave. and collided with a vehicle going southbound on 19th St. The investigation into the crash is ongoing. More information will be available as it becomes available.